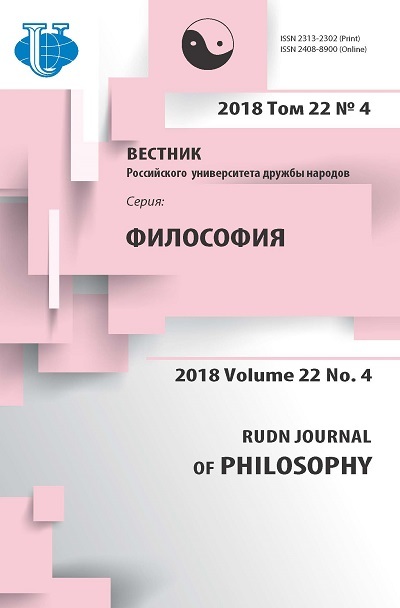 Authors: Shachin S.V., Komleva L.A. This article shows the relationship of primitive language with corporal life, which (i.e. life), includes solid bodies’ manipulation in the house construction. At the same time, the subjects of speech make certain projections, that is, they propagate those attitudes of consciousness that they had possessed while performing those corporal operations and which are expressed in speech forms, on the rest of the reality that had emerged from a stable state. We prove the inapplicability of these projections to the modern nonlinear processes comprehension in the context of the global crisis. L. Wittgenstein’s philosophy of language analysis is transformed into J. Habermas’s philosophy of communicative mind through the understanding of the problem of individuality in order to preserve the subject of the modern era from disintegration. As a result the ways to overcoming non-genuine contemporary globalization are found out through the interpenetration of the senses in the perception and comprehension of being in different cultures and peoples. primitive language, corporal life, house construction, projection, new European entity, the philosophy of communicative mind, individualization through generalization, home as a language and language as a house, a new form of globalization. Austin, JR. How to do Things with Words. Oxford: University Press, 1962. Heidegger, Martin. „Letter on Humanism“ (1947). Ref. to: URL: http://pacificinstitute.org/pdf/ Letter_on_%20Humanism.pdf (a date of last access: 03.11.2017). Searle, JP. Speech Acts. Cambridge: University Press, 1969. Searle, JP. Expression and Meaning. Cambridge: University Press, 1979. Copyright (c) 2018 Shachin S.V., Komleva L.A.